With very few homes in Duluth under $300K, this beauty was only on the market 3 days before I laid it on my Buyer to BUY!. Tucked in back of the Chattahoochee Reserve subdivision, this home features 5 bedrooms, 3 and a half baths, and a full finished basement with kitchen. With walking distance to the Chattahoochee nature preserve, my Buyers are going to love the nature walks available to them. 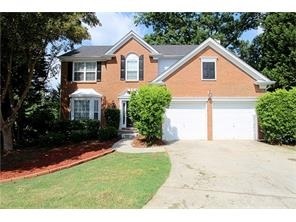 If you are looking for that exceptional home, call me and let me show you some homes in great areas around Atlanta.